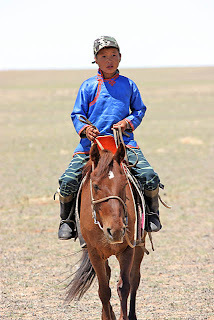 One of the most compelling reasons to visit Mongolia in July is their Naadam Festival. The festival runs for 3 days and is usually held from Jul 11-13. 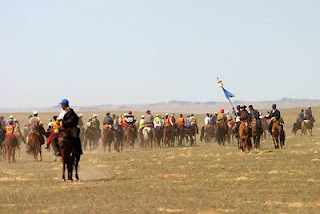 This traditional festival is the country's biggest and most well-known festival and the highlights of the celebrations would be the "three manly games". Three sporting events would be held all over the country - horseracing, archery and wrestling. 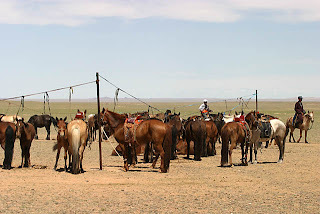 The biggest games would be held in Ulan Bator, where the stadiums would be filled with spectators watching mainly the wrestling and archery events. 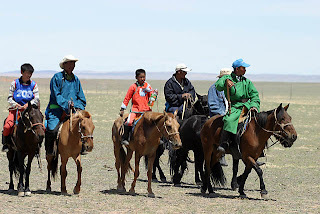 As the festival fall somewhere in the middle of our south Gobi circuit, our guide told us that we would watch the festival in some of the smaller towns, which could probably be more authentic and less crowded. Sadly, luck was not with us. 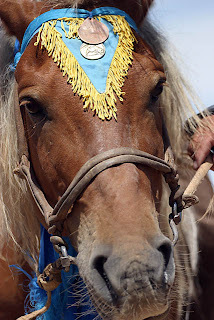 Firstly, the location that we supposed to see the festival only had horseracing. So we did not get to see any of the archery or wrestling events. Secondly, as the roads are bad, and vehicle breakdowns are common, that left us very little time to watch the full horseracing. So we had to make do with what little time we had. It was an extreme pity that we could not see the full Nadaam. Nevertheless, I enjoyed what I could. It was still an eye-opener, and certainly given the chance, I would want to experience it again - in its full!